My husband, Eric, got me a fitbit for my birthday a few weeks ago. It was the perfect gift for me. I have always been a very active person and this has given me an extra motivation to push myself more. It sits there on my left wrist taunting me with its blinking lights. Get up and get more steps! Anywho, I have been really good about my morning routine. I get up around 5 and go run 2-3 miles. It has also helped me get back into a much needed routine. My quiet time with God. I spend the first 30 minutes or so praying. Prayers of thanksgiving, for the needs of my loved ones and for myself easily fill up half an hour. It is the perfect way to start the day off by getting myself in tune with God. 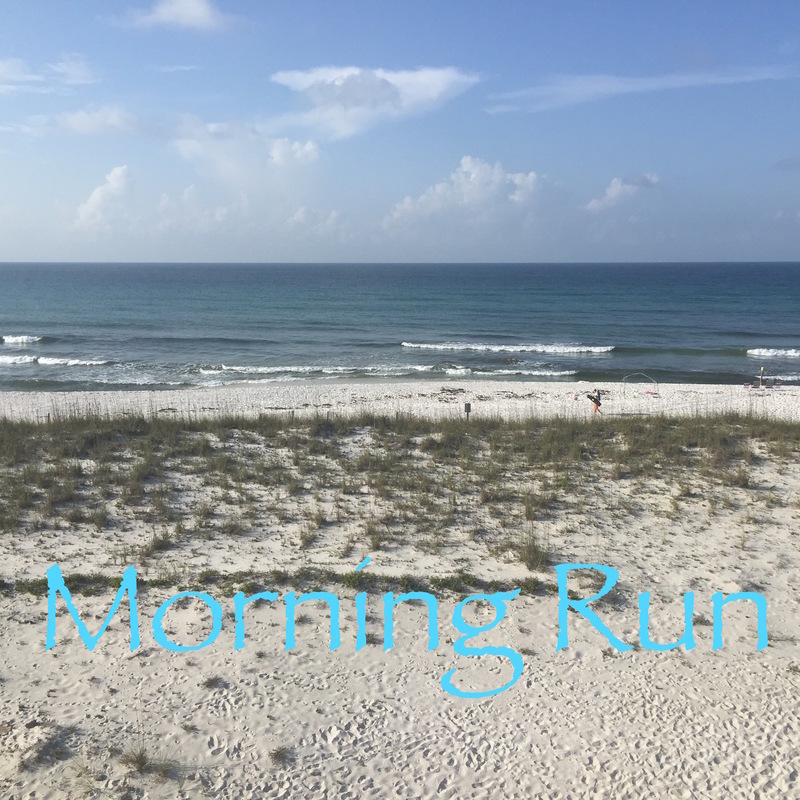 This week my family has been at the beach and I have continued with my new routine. Go Me! When you have the ocean and the sand as your backdrop, it isn’t hard to find motivation. The first part of my prayer usually centers around just how awesome God is. Nothing to do with me. Just Him. As I looked out at this amazing ocean and see the power and majestic waves crashing on the shore, it isn’t hard to see how awesome He is. He created all of this. As I looked out in the water, I saw a few dolphins swimming. Every so often they would playfully bob out over the surface and give me a little show. How loving is our God. He not only made these amazing animals, He knew how much joy they would bring his children. Think about the crazy things we do to make our babies smile and multiply that exponentially. That is our God. I ran further down the beach and saw the perfect unblemished conch shell in the surf. I dove to get it for my sweet girl. There were thousands of seashells scattered all over the beach. None of them the same. All of them different. How creative is our God. He didn’t have to do that. But our God isn’t just a utilitarian. He is awesome. Then those majestic waves grind up those beautiful shells to create the most beautiful sugar white beaches. The sand would be a home for thousands of creatures He created. But it would also bring much needed relaxation and pleasure to His children. How caring is our God? So as I wrap up my favorite week of the year, I will do it with a grateful heart to an awesome God who created this beautiful world for me…His child. « Stuff Steph Loves – 7 Steps to Taming Curly Hair!! So blessed to be invite to share this week with my girls’ families. Yes, God is good.